Mr Mumbles stumbles down a dark alleyway in search of young readers who own a copy of this book. The anticipation and the feeling of horror is what he feeds on as you read the pages which lie within this book. He could be lurking in a neighbourhood near you - his tall hat, big ears and bushy eyebrows, dancing in the moonlight, give a very big clue to this creatures whereabouts. If you unfortunately bump into him in the night, I suggest you run the other way. Kyle's imaginary friend doesn't exist or he didn't until one day, when he heard something lurking in the attic. The story takes on a twisted tale of persual by his imaginary friend, who becomes not so friendly any more. There is a grudge to settle leaving Kyle running for his life. This is a new series of exceedingly good books from a new voice in children's horror books. The book first came to my attention in the pre-run up to this years Bologna Book Fair as HarperCollins were showcasing this book; great things were said about this fresh new project. The imaginative characters in this book feel realistic and as we speak, Mr Mumbles is on a train to Scotland, to find his creator and find out more about himself. The feeling this book gives is not for the faint-hearted; its twists and turns regarding the families past is too much to bear. The action and the battle scars are also severe. I loved reading this book as I re-lived all the dangers and heart stopping momments throughout its entirety. It makes it a top read for all children and adults; leaving an everlasting edgy feeling as Mr Mumbles is a well-crafted character in the making. The book has lots to offer and would work really well as a film. I give this book five out five; I will definitely follow Mr Mumbles on his next outing - to the grave yard! Kyle's imaginary friend from childhood is back! with a vengeance. Kyle hasn't seen Mr Mumbles in years. And there's a good reason for that: Mr Mumbles doesn't exist. But now Kyle's imaginary friend is back, and Kyle doesn't have time to worry about why. Only one thing matters: staying alive! A major series from a fresh new talent, brought to you by the publisher that put horror on the map. 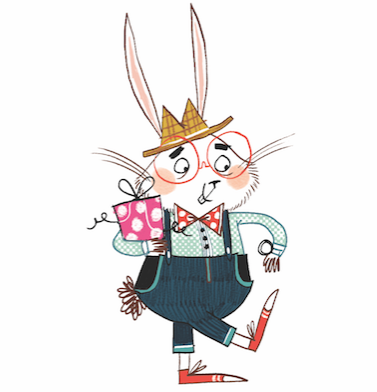 Barry Hutchison is from the Highlands of Scotland, currently writing books for children. Over the past decade and a bit I’ve written everything from screenplays to magazine articles, but didn’t turn my hand to children’s books until late 2006, at the suggestion of another author, Tommy Donbavand. 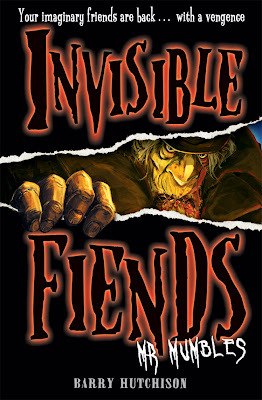 Since then I’ve written six 7-9 year old adventure novels for Egmont Press, and have recently sold Invisible Fiends, a six book horror-series, to HarperCollins Children’s Books. I am thirty-one years old – but on a good day could easily pass for mid-forties – and live happily with my long-term partner and our six year old son. I am tall – but not like the BFG or that – and like seafood, comics and Elvis, though not necessarily in that order.